After six weeks of preparation for the Platte River Half, I’m finally to the point in my schedule where I’m training for four half marathons at once. My main focus has been on my Colorado trip, only because this is the first half of the year. But, I’ve been keeping the rest of the races in the back of my mind. Besides, none of them would be possible without any of this preparation. So here are my training schedules for the next three half marathons after Colorado, all of which are a continuation of Platte River training. I’m really excited for this race for two reasons. It’s one week post Colorado, so after running in crazy altitude I should be in excellent shape 🙂 And it also happens to be on my birthday, my favorite day of the year! I’ve been looking forward to racing on my birthday since summer. To me the perfect way to celebrate my birthday is running 13.1 miles! Just like many local runners I’ll be participating in the Cleveland Half again this year. I’m looking forward to enjoying the race instead of being a giant ball of nerves. 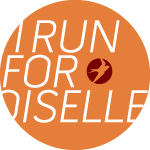 Plus I’m running for Team JDRF, supporting the Juvenile Diabetes Research Foundation. I’m not running this race for me, I’m running it for those affected by Diabetes. My second out of state half and it will be on the beautiful grounds of the University of Notre Dame. Unfortunately the finish has been changed from ending inside the stadium. I still think this will be a good, flat race, and I’m excited to explore South Bend. Compared to last year, it’s weird to think I’m training for four half marathons at once, all within a few weeks of each other. And even two weeks from now, I’ll be training for a fifth half. Knowing I’ll have a big race every couple of weekends can be a little overwhelming, and possibly tiring, but I know it will just make things go well in October for the full!